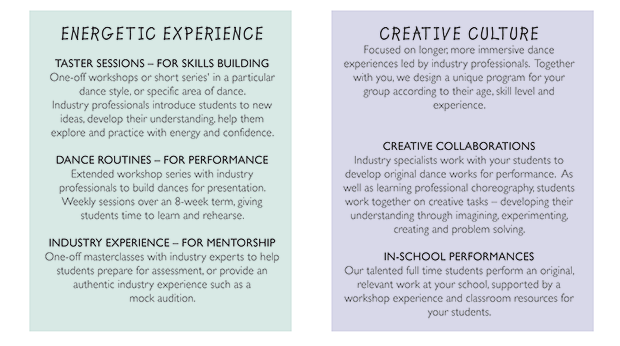 More than just teaching steps, our education program facilitates engaging dance experiences that energise and vitalise participants' bodies, minds and imaginations. Inspirational, passionate and professional dance opportunities for young people. Dance is a powerful means of self-expression and development. We offer a diverse suite of bespoke dance experiences for school groups, from one-off workshops through to residency programs. 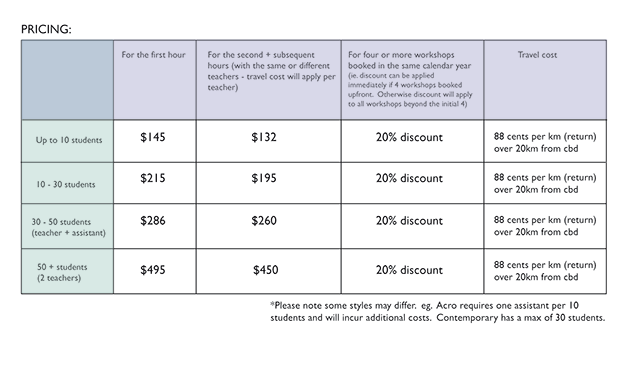 All our workshops are specifically designed to be appropriate for the age, experience and skill level of your group – and can be provided at our studios in Prahran, or at your school.